The Boy Box Bibdana + Hat Box is a monthly subscription box offering a one size fits all bibdana (bib/bandana) and hat set that is geared towards boys 0-24 months. The pattern will be fitting for the current season. The Boy Box also offers a clothing box for $23.99 a month. This review is of the $9.99 Bibdana + Hat One Size Fits All Box. The Products: Each month you receive one Bibdana + Hat set. The patterns and styles will change each month and will be perfect for the season. Ships to: US, APO, and Canada. Subscriptions within the US ship for a flat rate of $2.99 and arrive in a teal poly mailer. Canadian orders are a flat rate of $8.99. I love this Halloween-themed set! We don’t have any Halloween bibs, so this is great! This month our hat matches the striped side of our bibdana and both are made from 100% cotton that is machine washable, which is definitely easier with a messy baby! This bib set is adorable! I love that we have the simple striped side so that we can use it outside of the season too. I also like that the Jack O’Lanterns are a bit spooky, too. It makes it pretty unique and a bit more fun for me! This bibdana also has two different snap settings so that you can adjust it to fit your baby comfortably. The material is very soft and the thickness is just enough to catch the mess without being too heavy to cause sweating. The hats are still a little big on him, but he is finally starting to grow into them at 5 months. (wahh!) I love the slouchy style and that we can get two different looks out of the bibdana! 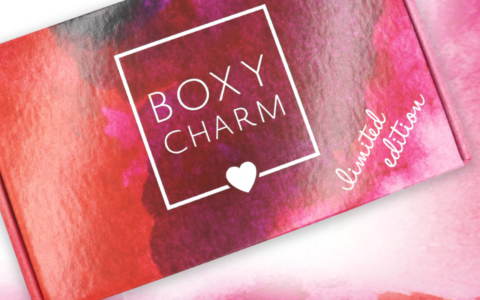 Verdict: I loved the selections in The Boy Box this month! The material was super soft and the patterns were perfect for fall and Halloween! It was definitely a fun set and it was exciting to open up and see what we received since they do seasonal designs. I love the versatility of the double-sided bibdana and how we can get two different looks out of them. Their bib sets retail for $19.00, so for $12.98 ($9.99 + $2.99 shipping) for a unique and exclusive set, I think that’s a great value! Can you still get this box if you sign up today? Each box ships between the 24th-28th of the month before. If you order today, it is likely that you will receive still be able to receive the October box. Value Breakdown: This box costs $12.98 ($9.99 +2.99 shipping) for a bib/bandana and hat set with an estimated retail value of $19.00 so you are paying approximately $6.49 per piece. 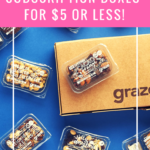 Check out all of our The Boy Box reviews and more boxes for kids ages 0-2 and kids ages 3-5 in the Kid’s Subscription Box Directory! What do you think about The Boy Box? How do subscribers rate The Boy Box? Do you subscribe to The Boy Box? Add your rating now! So stinkin cute!!!! That smile of his is too adorable for words and you can just tell he lights up a room! Thank you for another great review.